TEA BENEFIT By minimally processing the leaves, the tea�s nutrients are unaltered and the high levels of antioxidants are preserved. Green teas are a natural and delicious way to include antioxidants in any diet. A major cause of hypertension (high blood pressure) is an enzyme secreted by the kidneys called angiotension- converting enzyme (ACE). Popular drugs for hypertension act as ACE inhibitors: by blocking the effects of ACE, blood pressure is reduced. Green tea is a natural ACE inhibitor, and several medical studies show lowered blood pressure in animals and humans given green tea extracts. 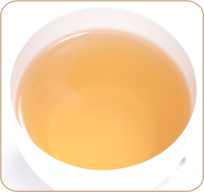 DESCRIPTION With a sweet flavor, this medium bodied distinctive tea has a pleasant aroma which is generally not found in green tea.